Reaching along the western coastline of Florida are the unspoiled beaches on the barrier island of Longboat Key. Breathtaking Gulf of Mexico Drive is one of the most stunning beach boulevards in all of Florida. Here a profusion of flowering tropical flora complimented by stately palms line well manicured streets leading to world class restaurants, elegant amenities, activities galore, and the burgeoning Sarasota real estate market. Longboat Key thankfully steers clear of obtrusive neon signage and immense billboards and instead offers a prestigious background for condominium real estate in its natural island setting. Divided in the middle with Manatee County in the north and Sarasota County in the south, all real estate for sale on Longboat Key is near the awesome shopping and golf of Bradenton and the culture of downtown Sarasota. Longboat Key sunrises present tough decisions on how to divide your activity time. Since we all have to eat and Longboat Key is renowned for excellent dining, visit Waterfront Grill, Plaza Steakhouse and Wine Cellar, The Chart House, Blanche Maison, or Harry’s Continental Kitchens. 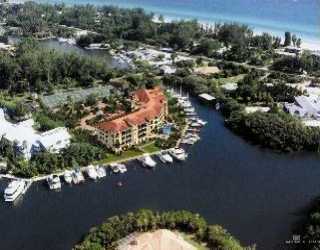 Situated on Longboat Key are the condos for sale at Grand Mariner. 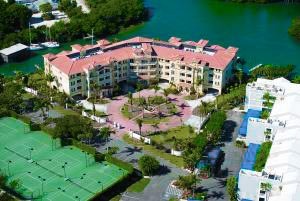 Acknowledged to be one of the most illustrious condo communities on the Florida Gulf Coast, Grand Mariner is located at 595-599 Dream Island Rd and took from 2003 until 2007 to construct. Grand Mariner presents its residents the life that many dream, but few realize as there are only 14 well-appointed residences in the complex. Designed with three buildings, Grand Mariner rests on approximately two acres of Longboat Key real estate and its amenities list features a dazzling resort style pool & spa, tennis courts, elevators, cutting edge fitness center, private 2 car garages, and 20 private boat slips which can handle water craft up to 70’ yachts. 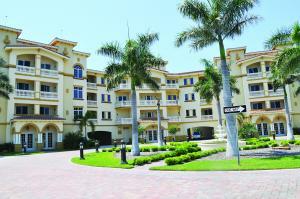 Without a doubt, this select condo development is second to none. It provides everything a cultivated buyer could ever desire from its lavishly landscaped tropical surroundings, luxurious amenities, and its private yacht harbor. The floor plans for the Grand Mariner condos for sale range from 3,608 to 4,473 square feet with pricing varying from around $2 million to the $3.5 million area. Scenic and commanding vistas of the bright blue Gulf of Mexico are just one of the numerous reasons why Grand Mariner has become so highly sought after. Far from traffic, noise, and everyday hubub, owning real estate on Longboat Key offers a relaxed, secluded, and quiet ambiance. Fun and excitement brings water based attractions that vary from fishing adventures and parasailing, to activities such as kayaking or windsurfing. For those requiring a bit more thrill to their life, there are always popular cigarette boats and jet skis.